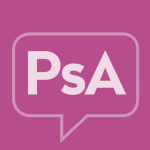 PsA is an autoimmune disorder that tends to get worse over time and causes permanent joint damage. The chronic inflammation of PsA is caused by immune cells that become overactive and create too much of certain proteins. These proteins can cause a person’s skin cells to multiply too fast, which triggers inflamed skin and other symptoms of psoriasis. The proteins also cause inflammation of the joints, which can lead to pain and joint damage. Periodontitis is a serious infection of the gums. Its symptoms include swollen, red, bleeding, and tender gums. Just as in the general population, people with PsA can reduce their chances of developing gum disease by brushing at least twice a day, flossing at least once a day, and getting regular oral health check-ups. If you do develop periodontitis, the good news is that it is imminently treatable, especially if caught early. That’s why researchers recommend patients with PsA see their dentist regularly for a periodontal check-up. The first line of periodontitis treatment usually begins with your dentist cleaning the pockets around your teeth. This is also called scaling and it helps prevent or stop damage to surrounding tissue and bone. Your dentist may also prescribe antibiotics and perform a procedure called root planing to control the infection. The infected pockets heal over the course of several months. Advanced cases of periodontitis may require surgery. Egeberg A.Risk of periodontitis in patients with psoriasis and psoriatic arthritis. JEADV. 2016 July 21. doi.org/10.1111/jdv.13814. Su NY, et al. Increased risk of periodontitis in patients with psoriatic disease: a nationwide population-based retrospective cohort study. PeerJ, 2017 Nov 16. doi:10.7717/peerj.4064. Albandar JM: Periodontal diseases in North America. Periodontol 2000. 2002, 29: 31-69. 10.1034/j.1600-0757.2002.290103. Michael R C Gough Bruce W Kirkham. The prevalence and effect of periodontitis on rheumatoid arthritis, ankylosing spondylitis and psoriatic arthritis disease activity: a cross-sectional observational study. Rheumatology, Vol 57, Issue suppl_3, 2018 April 1. doi.org/10.1093/rheumatology/key075.413. Monson CA, Silva V, Porfírio G, Riera R, Tweed JA, et al., (2016) Oral Health Issues in Psoriasis: An Overview of the Literature. Int J Clin Dermatol Res. 4(4), 94-103. doi:10.19070/2332-2977-1600025.